There were more changes in the fashion trend during the 1960. This diversity was far more than that in the previous decades. There were featured many styles and trends influenced by working classes, social movements, independent cinema and music industry. All these contributed to giving variety to the hair styles introduced and followed by that area. Some of these are described below. One of the biggest hair accessories were fake hair which were openly worn at that time. Real hair was used in making of wigs. These wigs usually came as pull-on & wear weft/cap style. Hairpieces were also made of real hair which were attached decently to the back-side of head for creating height and width. These in turn made hair bigger looking. 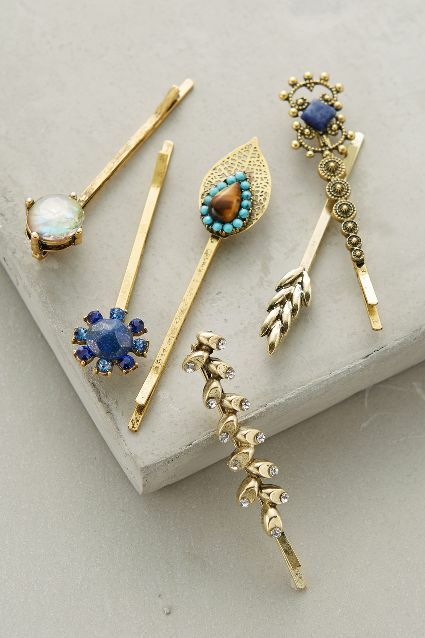 These pieces were also used in creating top knots and other hair dressed styles. Use of contrasting colors was also common along with matching hair. Flat hair were popular that were attached to the wide velvet headband. A comb was attached to the clusters for helping in its attachment of these to the natural hair. Apart from this combs, slides and headscarves were also commonly used. Hair coloring was also a trend to change the color of hair for the more attractive look. These bouffant styles were of impressive size during 1960s. in this style hair was backcombed with bigger, rounded, the smooth bouffant style that could be twinned by curled flicked-up ends. Another option was curled under and smothered around. It was set to mosquito clearing hair lacquer cloud, in a fact, that was a sort of helmet hair. For more buffs, hairpieces were used on a crown. Famous wearers of this style were Lady Bird Johnson and Jackie Kennedy. One of the most enduring 1960`s symbols was beehive hairstyle that was a distinct hive shaped lacquered and backcombed hair mountain that could last even for days. Beehive hairstyle was also twinned with the longer hair with half-up & half-down style. These cutting edge short hairstyles were introduced by the Vidal Sassoon. As compared to the teased and heavily lacquered bouffant, short-cuts involved lesser daily maintenance & can easily be adjusted. Bob is easy to wear & flexible hairstyle not only today but was also popular in 1960`s. the bob of that time was somewhat different in shape from the bigger round bouffant, towards the lines that were sharply defined. Ends of bouffant bob style were easy as it could be left smooth and sleek and could also be curled under or flicked up or flicked out. The main theme was about having a bigger round, smooth hair which was kept set by the hair lacquer. Long hair has always been in fashion whether it’s 1960`s or 2015`s fashion trend. In 1960`s this hair was not left down simply. These were sleek, backcombed for achieving rounded, smooth bouffant. These were normally center parted and could or couldn`t have long fringes. Poker straight hair were ironed by women by using the brown bag of paper over their hair in order to prevent them getting signed.